Comprehensive assessment: our Physiotherapists will assess your problem to identify all the issues that require attention. Hands-on therapy: we provide hands-on therapy to treat the problems we identify. Education: we will teach you about your condition and how you can help yourself. Advice: we will provide advice on work practices, sports and hobbies and anything that affects your condition or health. Exercise: you will be given appropriate exercise interventions, and these will be revised as you proceed towards recovery. You may also be recommended exercise classes and hydrotherapy. 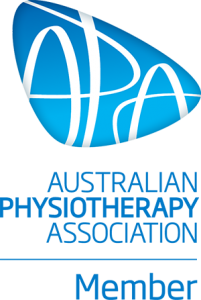 Referral: if your problem is beyond Physiotherapy’s scope of practice or if you require the skills of another medical practitioner, we will refer you to one of our trusted doctors and allied health professionals. Physiotherapists are experts in the assessment, diagnosis and treatment of movement related problems and injuries using techniques to relieve pain, restore function and movement and prevent further problems. Electrophysical agents (e.g. Ice, heat, interferential, ultrasound). Caboolture Physical Therapy Centre – serving people in need from Caboolture, Beachmere, Elimbah, Woodford, Toorbul, Glasshouse Mountains, Morayfield, Wamuran, Bribie Island, Ningi, Burpengary, Bellara, Sandstone Point, Banksia Beach, Beerwah, Kilcoy, Bongaree, Donnybrook, Woorim, Beerburrum & Goodwin Beach.